We are happy to announce a concert with Young master of the sitar, Sri Shakir Khan. Last year, Sri Shakir Khan gave a scintillating performance of evening ragas for us. This year, we have arranged a very special concert at the Sanctuary on Sawkill Road for Saturday, October 28. We are very excited about his return. 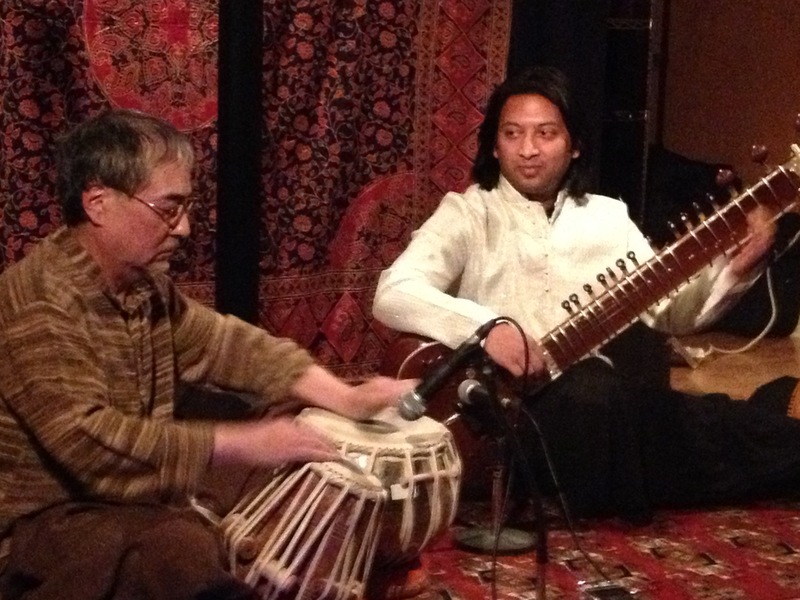 Sri Shakir Khan will bring violinist Tejas Upadyay. Most of us are aware that Shakir’s father is Ustad Shahid Parvez, the noted sitar maestro. Tejas also hails from a respected musical family, his father being Pandit Atulkumar Upadhye, who in turn learned from his father, Prof. Balkrishna Upadhye. These two young maestros regularly perform with each other in duet concerts. What’s more, their fathers do as well, so we should be in for quiet a treat! This entry was posted in Events, Indian Classical and tagged Shakir Khan.